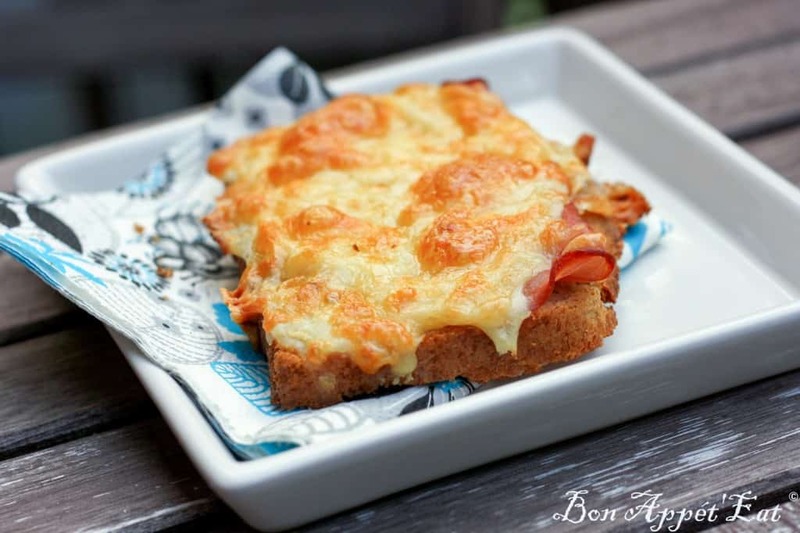 There are some food that, even if there are tasty, it is hard to make them look appetizing… The Croque-Monsieur that follow is not the most appealing one. Plus, my picture is not recent, I would have done it differently maybe but still… not that good looking. I am working on it! Certain meals or dessert are sometimes difficult to take a picture of but it is my role to make you want to try them. One that one, I hope you will give those Croque-Monsieur a try, sooo worth it! Now that you know how to do a bechamel, it is going to be an easy and quick recipe! And, since it is Superbowl season and finger are trendy, you HAVE to give it a chance. - Display your 8 toasts on a baking sheet, apply a thin layer of butter on each of them. Add a slice of ham (that is about the same size of your bread) on it. - Prepare your bechamel: make a “roux”: Melt the butter and mix with the flavor to get kind of paste. It is a base to the bechamel. Then, you will have you milk gradually not to get any lump, add salt and pepper to taste. - Pour some bechamel on each ham, spread it nicely. - Sprinkle cheese on top, a lot! This is how we like it! Normally, it would be Emmental but well... I adapted the recipe Canadian style eh! - Cook in the oven 15-20 minutes at 350F. 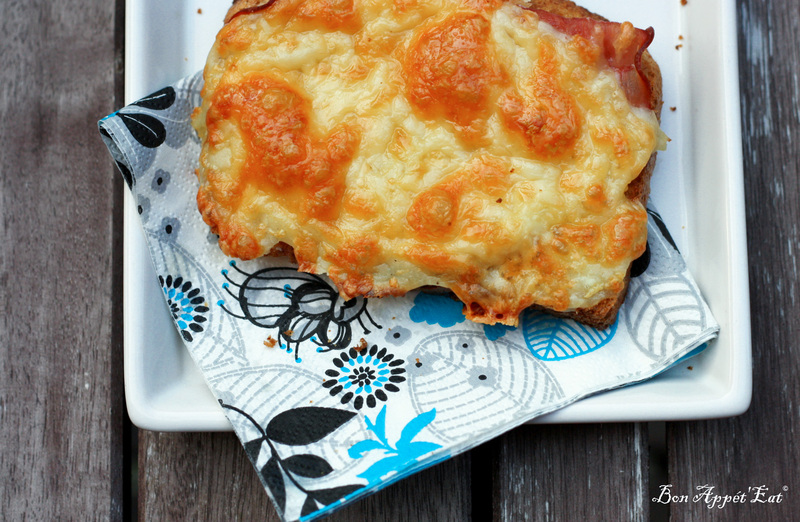 This still looks delicious to me – I love croque monsieurs! They are! Thank you for stopping by!